Want to know what to get a child that always seems to be waiting in the kitchen for food or wanting to help when there's really not time to let them? Do they look to be creative and want to someday be a chef? 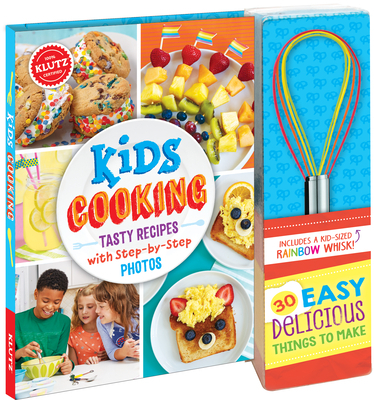 This coloring cookbook (including a fun rainbow whisk) has all the step by step instructions that your child to do it all. From fruit kebabs and lemonade to chicken drumettes and ice cream, it's all here ready to inspire!